Birth of a child would be the happiest event for the entire family. The celebration for the newborn actually starts with the cultural ritual known as Godbharai when the expecting mother is pampered with most appropriate gifts. 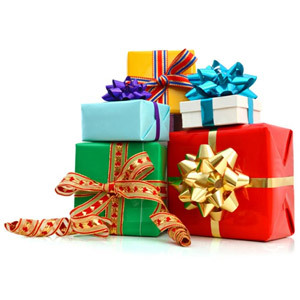 The online gift stores offer different ideas to gift the expecting mom and the baby. This idea would be among the most suited Gifts for Godbharai. The recipient women that love to wear accessories would admire the necklace with traditional design. The pack of Ferrero Rocher chocolates would add the joy of celebration as the ‘would be’ mom would feel pampered due to the rich taste. The delicious chocolate balls would be the best sweet one can offer. This is one of the most appealing 1st birthday gift ideas for the baby and the mom. The mom can wear this baby carrier to take along the baby wherever she moves. The padded shoulder strips and adjustable buckles would make it easy to accommodate the baby of adequate size and weight in the carrier. The mom would love to be gifted with this most useful product. Moms love to portray the most lovable looks of their babies. So this gift idea would be one of the most adorable baby showers gifts. The expecting moms would be drawn to the imagination regarding how her baby would look wearing these colorful bands for feet and head. The colorful butterfly bows and sandals would add beauty and cuteness to the newborn baby. This would be a comprehensive gift hamper for the babies as it contains almost every necessity for bathing the baby. This gift hamper contains baby shampoo, oil, soap, powder, wipes, towel, diaper, vests, shoes and bath toys. Thus the moms would be overwhelmed to receive this gift on the occasion of baby shower as she can use it to pamper the baby. The babies would love the soft toys and thus this gift idea would be loved by the babies for the cute appearance of the teddy bear. The beautiful looking teddy bear with its cutest expressions would be accompanied by an artificial flower and these things would be kept in a ceramic vase. This would be memorable gift on Godbharai. The aspirants can visit Giftcart.com to select the most adorable gift ideas for the most lovable babies and their moms on the occasion of Godbharai and baby shower. 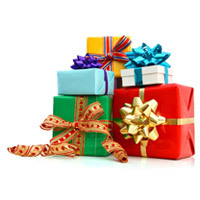 The gift ideas at Giftcart.com would be appreciated by the recipients.